Saturday may have been the best day of the festival. Two of my favorite comedies: The Awful Truth and Theodora Goes Wild were on the schedule and I couldn’t have been more pleased. Irene Dunne was the top-billed star of both films and she’s one of my all-time favorite movie actresses. Someone who I think was underrated—even though she received five Best Actress nominations—during her heyday. Dunne and Cary Grant, her costar in The Awful Truth, had a chemistry that is hard to analyze, but is truly magical. Many critics, including me think that they were at their best when together. The pair made two other movies: My Favorite Wife, a comedy and Penny Serenade, a drama, which won Grant his first Best Actor nod. Dunne received two of her Best Actress nominations back to back for Theodora Goes Wild (1936) and The Awful Truth (1937). There were so many good film choices Saturday morning that it was another day of tough decisions. The Court Jester (1955), Red River (1948), The China Syndrome (1979), Arsenic and Old Lace (1944), Stalag 17 (1953), and This is Cinerama (1952). Of those films, I hadn’t seen The Court Jester or This is Cinerama. I decided to see The Court Jester in the Chinese Theatre, once again keeping with the festival’s comedy theme. 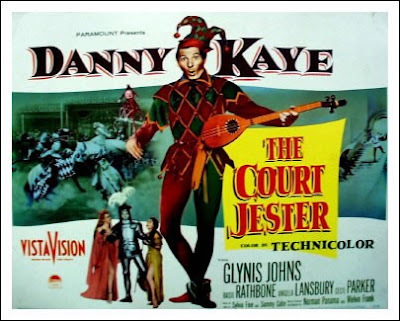 The Danny Kaye comedy-musical comedy is a favorite to many. It features the classic “The pellet with the poison’s in the vessel with the pestle; the chalice from the palace has the brew that is true!” routine. The film was presented in a digital restoration that looked beautiful. Shot in Vista-Vision, Paramount’s answer to Cinemascope, The Court Jester looked brand new. The Technicolor looked vivid and crisp. 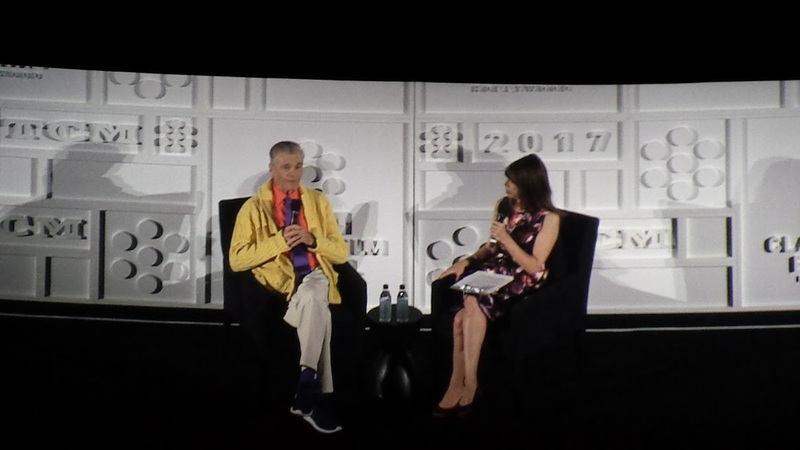 Comedian Fred Willard and Illeana Douglas introduced the movie; it is one of Willard’s favorites. I enjoyed it more than I thought I would and caught myself laughing out loud (I was in good company) during many scenes. The supporting cast was a dream: Glynis Johns, Basil Rathbone, and Angela Lansbury. It doesn’t get much better than that. Fred Willard and Illeana Douglas introduce The Court Jester. I already revealed that The Awful Truth was a movie I was anxious to see at the festival and even though there were some great films competing with it, I had to see this movie on the big screen at the Chinese. Competing with The Awful Truth was Rear Window (1954), The Last Picture Show (1971), David and Lisa (1962), and The Great Dictator (1940). There was so much laughter during The Awful Truth that first-timers missed at least 20% (my estimate) of the jokes; it canceled out some of the “follow-up jokes.” It was a testament to the writing, direction, and the performances of Dunne, Grant, and Ralph Bellamy, among others, that the film holds up 80 years after it was first released! 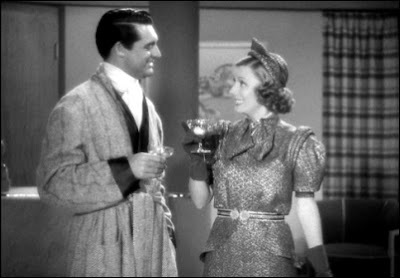 Cary Grant and Irene Dunne toast their “freedom” in The Awful Truth. After The Awful Truth, I took a break and went to the “Conversation with Lee Grant” at Club TCM. Interviewed by critic Leonard Maltin, Grant recounted her early life and career, as well as the devastating effects of the Black List on her life and career. Grant’s husband, Arnold Manoff, was a communist. Grant was called before the House Un-American Activities Committee (HUAC) and because she refused to testify against her husband, she was blacklisted from film for a dozen years. Her movie career started with such promise; she received a Best Supporting Oscar nomination for her first film, Detective Story (1951). During this period, she found work on the stage and in television. 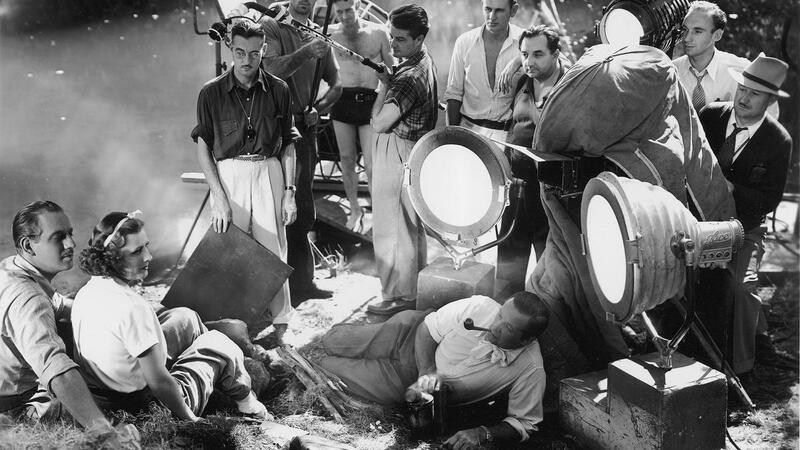 Grant moved from acting to directing both small independent features and documentary films. Next was another Irene Dunne classic, Theodora Goes Wild. Every time I see this movie, the more impressed I am with it. The writing, direction, and acting are first rate. This was Dunne’s first foray into comedy, but you’d never know it. Her timing is impeccable and she was a great physical comedian as well. The plot surrounding a small town girl, who writes a scandalous best-selling novel, unbeknownst to the two maiden aunts who raised her is hilarious. Illeana Douglas introduced the film. Her grandfather, Melvyn Douglas, was Dunne’s leading man and perfect comic foil. The superior supporting cast included Thomas Mitchell, Thurston Hall, Elisabeth Risdon, Margaret McWade, Spring Byington, and Nana Bryant. Risdon and McWade are especially endearing as Theodora’s aunts. Their transformation by the film’s end is wonderful and incredibly amusing. And it was great to see this film in the beautiful Egyptian Theatre filled with uproarious laughter. 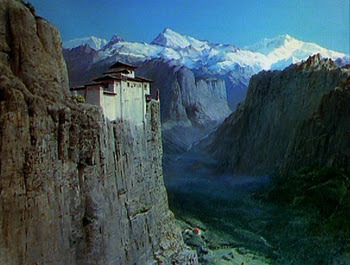 Stunning Technicolor sets Black Narcissus apart from other films of the period. My last movie of the day (evening) was Black Narcissus (1947). This nitrate film was shot in breathtaking Technicolor; the print that we saw at the Egyptian was beautiful. The film stars Deborah Kerr as a nun sent to the Himalayas to open and establish a convent school. The psychological drama also stars Sabu, Flora Robson, and David Farrar. The film features an early screen appearance by Jean Simmons, cast as an Indian servant girl. Kathleen Bryon plays a troubled nun who is drawn to the estate manager (Farrar). Bryon’s character also believes that Kerr is in love with Farrar, and in her twisted mind considers her a rival for his affections. The film’s themes and story are complicated, but fascinating. I felt like it was “Vertigo with nuns,” since it explores some of the same themes, and has a similar climatic scene. Hard to believe that tomorrow, Sunday, would be the festival’s last day, but there were still great movies to be seen!